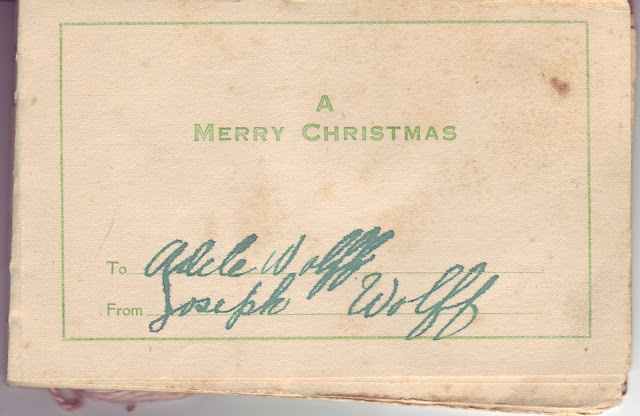 In 1920, Joe Wolff was in 17th Balloon Company Fort Omaha, Nebraska. His job is listed as timekeeper. Also included in the memorabilia stash were pictures of a balloon and what I believe to be pictures taken from a balloon. My cousin-by-marriage and I have identified the balloon as a Coquat Type R Observation Balloon. I'll save those pics for another post. The star of the show today is this booklet dated inside as 1921. As of this writing, that's 96 years ago, folks. 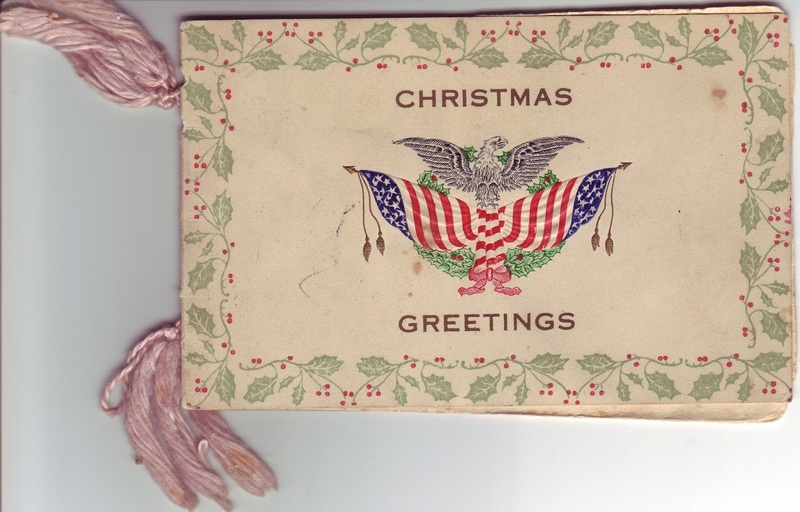 I believe this was sent from Private First Class Joseph Wolff while stationed in the Phillipines to his sister, Adele Wolff, in Chicago. I don't have the original here. This beautiful artifact is with family in Arizona. I wonder if this is why oyster dressing was and is so popular with the Wolff menfolk? At some point, I will attempt to transcribe all the names here.